Despite having only recently relocated to the UK, as well as having only one year to prepare for his entrance exams, UK Study Centre student Egor has been successfully admitted to one of the UK’s most prestigious boarding schools - Wellington College. Despite having only recently relocated to the UK, as well as having only one year to prepare for his entrance exams, UK Study Centre student Egor has been successfully admitted to one of the UK’s most prestigious boarding schools — Wellington College. We are overjoyed to have learned that Egor has successfully passed his 13+ entrance exams and been offered a place at Wellington. 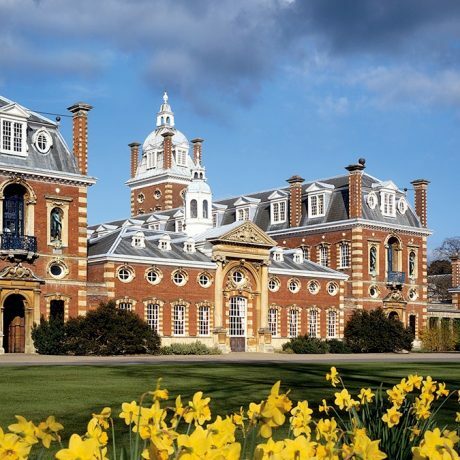 Well-known for its innovative practices and teaching methods, high academic results and amazing infrastructure, Wellington College receives record numbers of applications every year from students both in the UK and overseas. Entry to the school is highly competitive, and in order to even sit the 13+ pupils are required to pass an initial round of testing at the age of 10-11 in Year 6. Normally there are around 6 to 10 children per place, of whom 85% are British and 15% are from abroad. Overseas applicants are expected to be fluent in English in order to cope with the rigorous demands of school life. Egor and his family moved to the UK from St Petersburg in August 2013. Prior to their relocation Egor had been studying in Russian school and had only visited the UK a few times before to attend summer courses. UK Study Centre has worked with Egor’s family for some time already, having helped them with school placement for their older son, so, in August, when they asked us to place Egor in a day school at the beginning of September of the same year (! ), we were already familiar with family’s expectations. We recommended them a perfect area to live in London’s countryside as well as a great day school. The school agreed to take Egor in and placed him in Year 5, where he has spent the past 3 years. To get into a top school at the age of 13 candidates have to be registered and pre-assessed at the age of 10-11. Egor and his family had decided to apply to Wellington for 13+, as the school satisfied all of their criteria: co-educational with strong academic results, close to where they lived, and with great sporting facilities including a golf course. Egor had just over a year to prepare for the first round of assessments. Thanks to his enthusiasm and motivation, the serious attitude he took to his studies and some additional help from tutors, Egor managed to successfully pass this first round, allowing him to take the 13+ tests two years later. When it came to taking those exams, Egor again was successful. Considering how Egor grew up in a completely different education system, only began preparing for his entrance tests at 9 years-old, and managed to pass them while simultaneously having music lessons and practising golf and shooting, we consider his achievements worth putting on our honours roll. Egor now takes part in clay shooting competitions for the Wellington College team, is a member of the school’s jazz club and also finds time to participate in numerous other interesting school clubs and activities. We wish Egor the greatest success at Wellington and look forward to hearing about his latest achievements !